MadChauffeur was the driver for the greater part of our trip in the Northwest of Scotland last August. 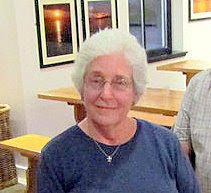 Links to my other posts on the travels of the Mad Three, MadChauffeur, Cathy, and me, may be found on the right sidebar under the heading "Scotland". Pictured below are the stars of the post, the mouth-watering, to-die-for langoustines which we ate at Glenuig Inn on the Arisaig Sound. The proprietor, Steve, who was also a bit of a fox, even though he was bald, told us that the langoustines went from the water into the pot. That's how fresh the delicious shellfish were. The Glenuig Inn offers contemporary-style accommodations, which are nothing fancy, but quite comfortable and clean, and the proprietors make much of being green, which is a good thing, surely. 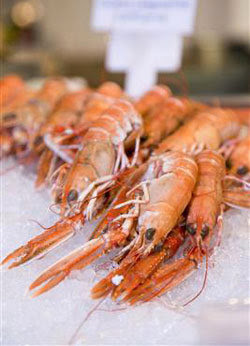 The restaurant serves delicious food, and it is there that I fell madly in love with the savory taste of langoustines. I didn't order them for my first meal, but MadChauffeur did, as a starter, I believe, with only about 6 in his dish, but he didn't like them, so he gave me his leftovers. How could he not like them?!!! Well, you can be sure that for my next meal I ordered langoustines, and perhaps for every meal after that, except breakfast, while we stayed at the inn. As you see below, the buildings are nondescript, but the setting at the end of nowhere is gorgeous. For most of our stay there, we didn't spend a lot of time at the inn, except in the evening, for we used it as a jumping off spot to visit other places. 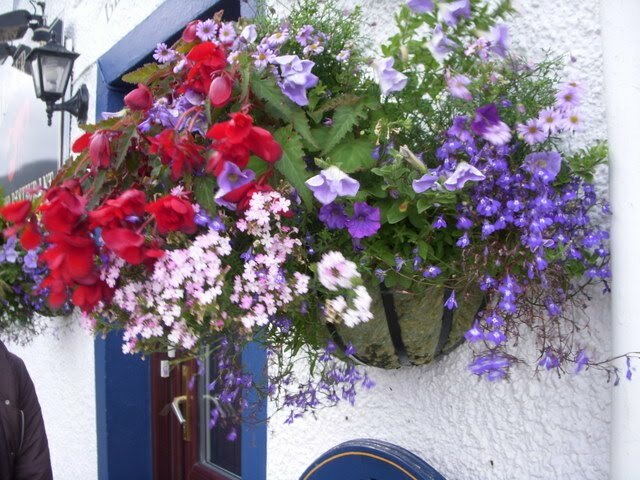 Below are the lovely flowers at the front door of the restaurant/pub part of the inn. 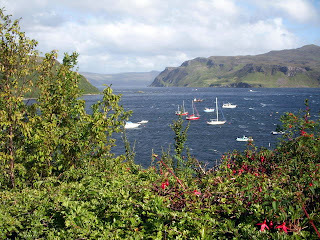 We saw gorgeous flowers in gardens and pots all over the places we traveled in Scotland. The adorable boy with auburn curls and a couple of sheep, along with beautiful scenery which surrounds the inn on every side are pictured below. 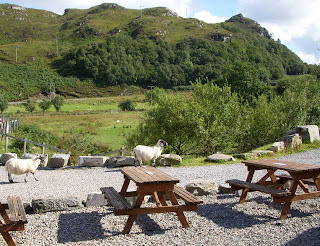 See the adorable sheep crossing in front of the inn. Cathy, the prime wildlife photographer in our group, was in heaven when the sheep approached, although cows are her first love. MadChauffeur left us stranded without wheels for a day, as he headed home to Newcastle, so, since Cathy and I did not want to spend money on an expensive taxi into Mallaig, we entertained ourselves in the vicinity of the inn. We wanted to take a nature walk, but it rained all morning, so we were confined indoors, except for a pleasant lunch at the tea shop just a way up from the inn - pleasant except for the moment when a woman at the next table knocked a floor lamp over onto me. Fortunately, only the shade hit me, but I had raspberry-flavored tea all over my jeans. 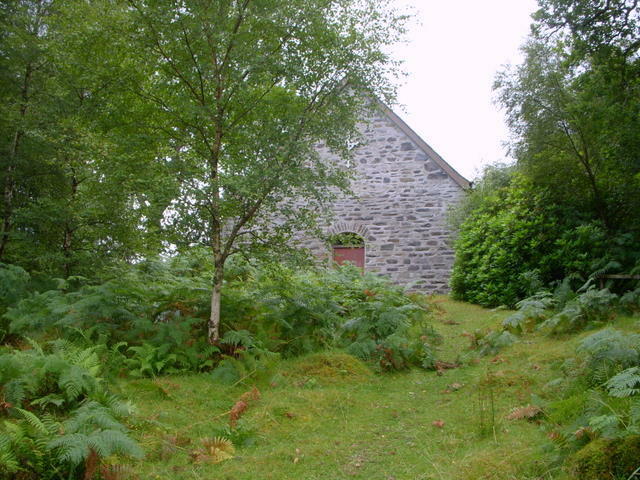 On the way to the tea shop, we passed the old church pictured below. The weather cleared in the afternoon, and Cathy and I walked to a beach on a lake (I believe it was a lake, but I'm not sure. It was water, water, everywhere.) not far from the inn, where we had a lovely, peaceful, soothing sit-down in view of the beautiful surroundings. 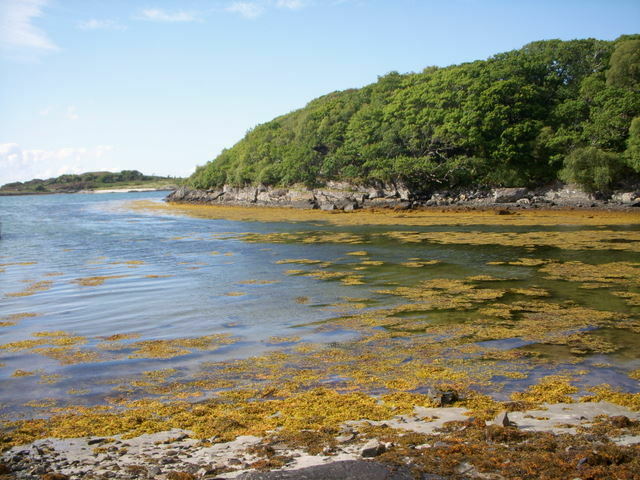 Note: I'm told the body of water was very likely an inlet of Arisaig Sound. 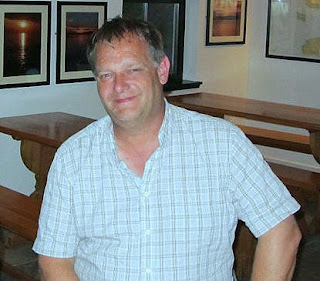 Here I am in the restaurant at the Arisaig Inn. 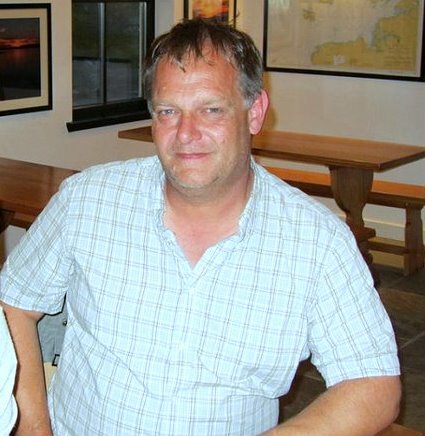 You can see MadChauffeur's shoulder and side, but I feared he'd think more than one photo of himself de trop, so I cropped him out. 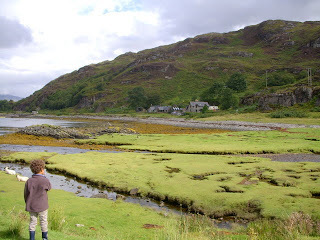 The picture to the left has nothing to do with our time in Arisaig, but I found the photo when I was searching for a picture of langoustines, and I could not resist posting it here. It's a Scottish dish called Tian of White Crab. I had the starter at a restaurant in Tobermory upon the recommendation of MadChauffeur, and, once again, it was food for the gods, food to die for. Can you tell I'm a foodie? Have I rhapsodized enough over the food in Scotland for you to know how much I enjoy good dining? The following morning, Cathy and I left for the Isle of Skye, where we hired a car, and Cathy drove for the rest of our trip. 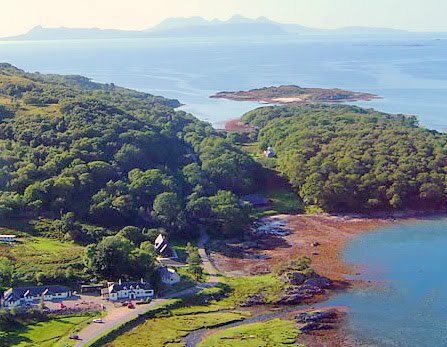 Several posts on our travels and dining on the Isle of Skye may be found in the list under the "Scotland" heading on the sidebar. The trip was lovely, JCF. I may be able to squeeze out one more post on a beautiful castle garden that Cathy and I visited. Me too-- longing for England, Scotland and Wales-- there has never been enough time -- I think I could spend years hanging out and about--more is better. As I am, Leonardo. I'm glad you enjoyed the post. Ah, Mimi, you're making me wistful. One of these days I'll go back to see England again. God knows when. Well now, Kishnevi, if you had read all of my posts on Scotland, you would know that I finally developed a taste for the single malt. Cathy kept insisting that I taste the drink, and after a good many sips, and lip pursings, and shivers, I decided the stuff just might be good. It is unlikely to be a lake since very few bodies of water in Scotland are called lakes (and the Lake of Menteith is the only biggish one). Admittedly my cousins who live only a handful of miles from Lake of Menteith always told me it was the only lake in Scotland. Erp, what about Loch Ness and Loch Lomond? 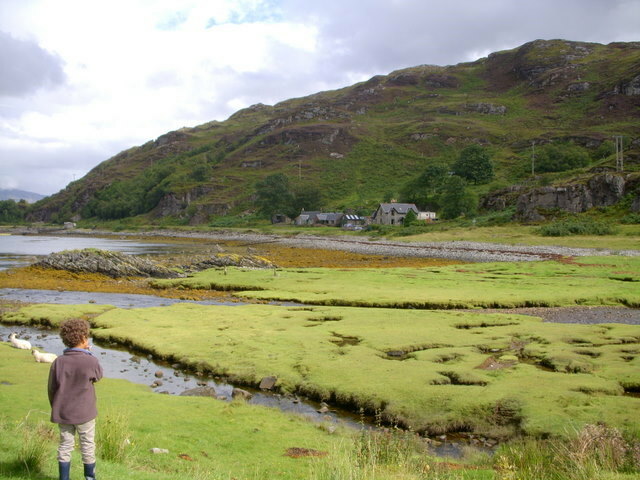 I looked at a map, and I didn't see any lochs or lakes within a short walk of the inn, so the beach probably bordered an inlet of the sound. Those are lochs not lakes. Legend has it that the Lake of Menteith is a lake because the lord of the area supported the English in on of the invasions and the Scots decided if he was that way his body of water would be a English lake instead of a Scottish loch. 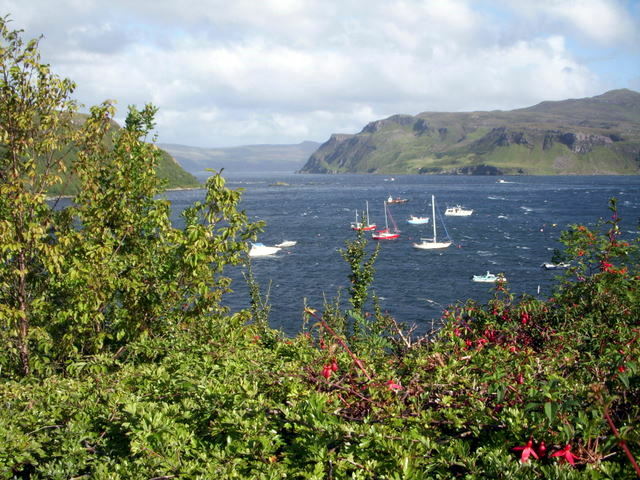 The difference in Scotland may be in that an arm of the sea may be called a loch or lake, whereas here in the US, lakes are generally landlocked. Those langoustines were legendary. The best thing about Glenuig were all the nice sheepy sheep tho. I particularly liked one that looked like the others but had an unfeasibly rich deep bass "baa", which it produced very disapprovingly (it gave me a fright actually). It was what Ian McKellen would sound like if he was a sheep. 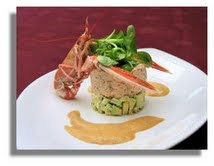 Wot larks, eh Mimi :) That crab and avocado starter you have pictured looks fabulous. Mmmm! JCF is right, lovely post. Erp, I see. On the maps, there is only one lake. You are speaking of the term, not the definition of the body of water. Sorry, I misunderstood you. Cathy, my mouth waters when I think of the langoustines and the Tian of White Crab. I'm not joking. I enjoyed seeing the sheep go home for the evening with the border collie believing he was in charge - sort of like MadChauffeur with you and me. Wonderful post and great pictures! Perhaps one day I will get to see these magnificent places. Maybe MP should conduct tours! whiteycat, thanks. I hope you get to go one day in the not too distant future.